Clinton Presidential Library: This hot spot in downtown Little Rock is so gorgeous, everyone should make a least one stop here. Set up at one of the picnic tables (if there are any available), take over one of the many benches that line the sidewalk parallel to the river or spread out that blanket on the lush green lawn in front of the library. You'll get beautiful views of the super-modern library, Clinton Presidential Bridge and the William E. "Bill" Clark Presidential Park Wetlands, as well as the Arkansas River and downtown Little Rock. Food Stop: On your way to the picnic, stop by the River Market's Ottenheimer Market Hall and pick up a burger, sandwich or even Asian cuisine from one of the many restaurants. 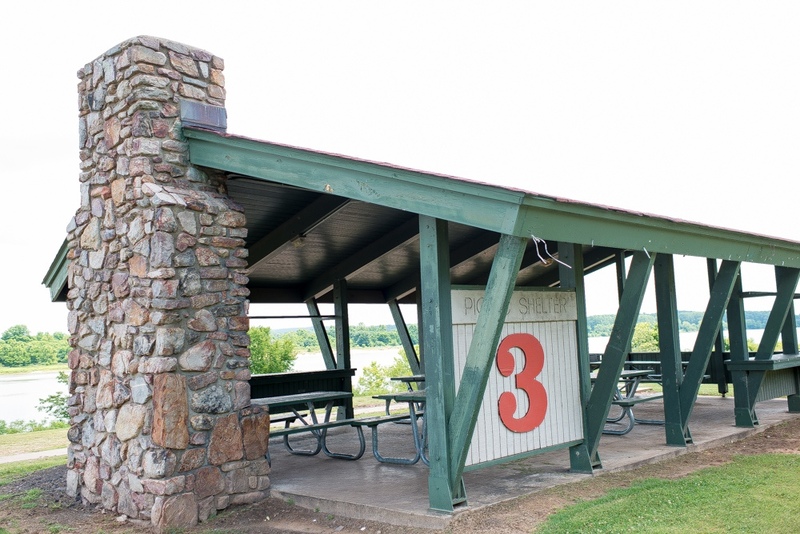 Murray Park: Located just a few minutes from downtown Little Rock, this park is situated right on the banks of the Arkansas River next to the Big Dam Bridge. Several pavilions are lined up and picnic tables are scattered all around the park, so there are plenty of options to enjoy the great outdoors during your lunch hour. What's great are the picturesque views of the river, as well as the bridge and the bluffs on the North Little Rock side of the River Trail. Food Stop: If you don't have a lunch already prepared, stop by one of the few restaurants on Rebsamen Park Road and get your food to-go. Spots like Maddie's Place, Buffalo Grill and Pizza Cafe make for a fantastic non-traditional picnic lunch. Two Rivers Bridge will be closed Tuesday-Friday. 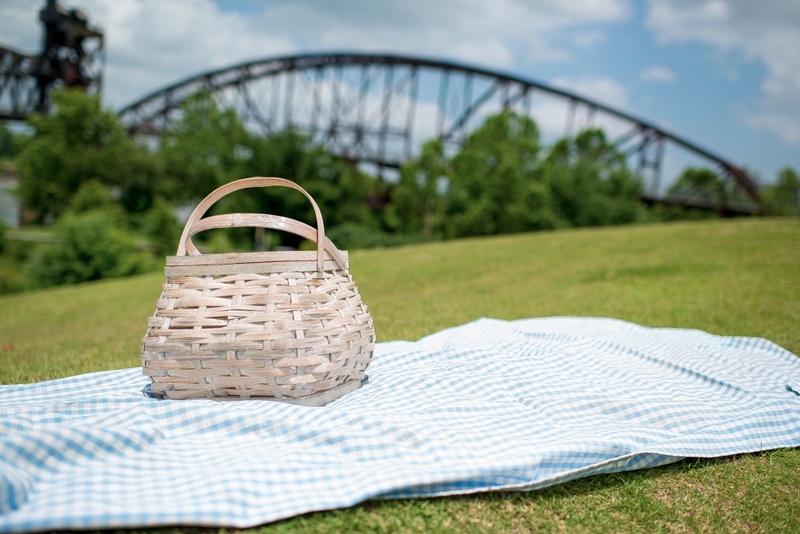 Two Rivers Park: The park is a 1,000-acre tract at the confluence of the Arkansas and Little Maumelle Rivers, is a perfect shady spot overlooking the Arkansas River and I-430 bridge in west Little Rock. Cross over the Two Rivers Bridge that is connected to the Arkansas River Trail, and you'll find several picnic tables on the trail and cozy spots to throw down that blanket. Food Stop: Looking for an ideal place to pick up lunch? You can stop by Chipotle in the Pleasant Ridge Town Center and get a delicious burrito bowl to-go, or even a salad or burrito. 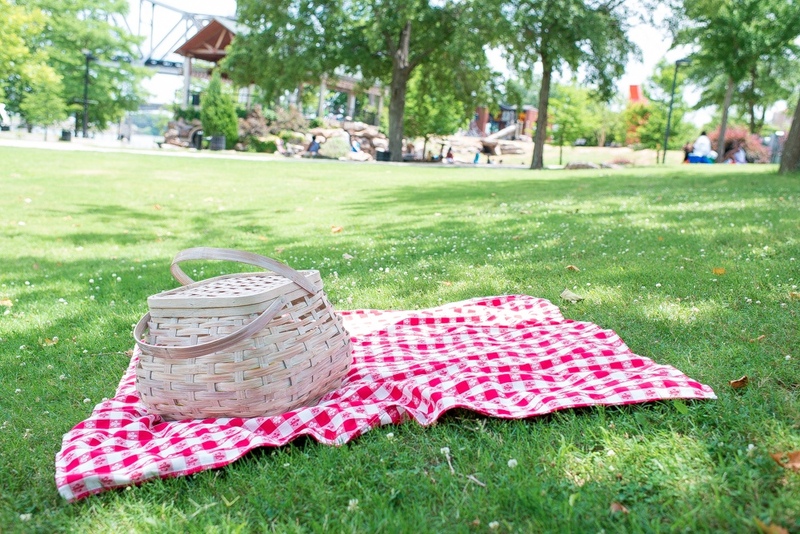 Riverfront Park: The sprawling downtown Little Rock park right on the Arkansas River is filled with plenty of spots to eat your grub outside while taking in the spectacular views of all of the park's cool features (sculptures, playgrounds, etc.) and the river. Picnic tables are scattered around the park, with most concentrated right behind the River Market. Food Stop: Make your sandwiches ahead of time and stop at Kilwin's for some tasty dessert with options like ice cream, fudge and caramel dipped apples. Pinnacle Mountain State Park: If you're on the other side of Little Rock, the state park is a great place to get away from the hustle-and-bustle of downtown and enjoy nature. There are several picnic sites and two pavilions to enjoy your lunch, including wide open spaces for a picnic on the grass. Food Stop: Call in your order to Whole Hog Cafe, and make a pitstop for some delicious barbecue on your way to the mountain. North Shore Riverwalk Park: Cross over to North Little Rock from downtown Little Rock, and you'll find a scenic promenade along the Arkansas River. A grand entrance right across from Dickey-Stephens Park will put you right where you need to be for superb views of downtown Little Rock's skyline, as well as the multiple bridges that span the water. Spread a blanket on the lawn or nestle into a park bench along the Arkansas River Trail. Food Stop: Make your way over to Main Street a few blocks away and find Mugs Cafe. Grab an iced coffee and a baked treat, and choose from burgers, tacos, sandwiches and salads. See the full menu here. North Little Rock's Dickey-Stephens Park, home of the Arkansas Travelers minor league baseball team, sits just across the Arkansas River from downtown Little Rock and the River Market.